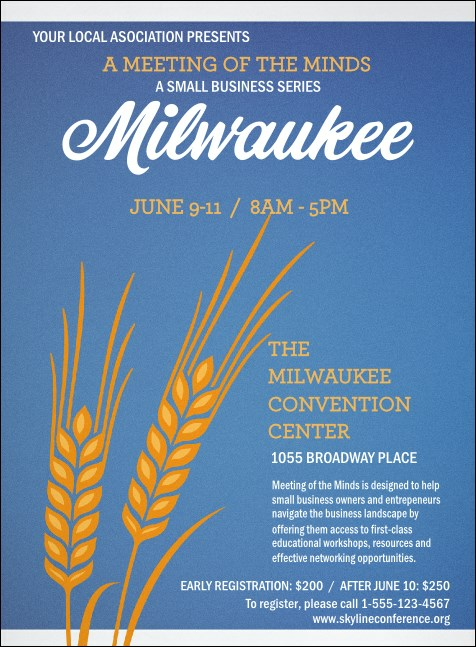 Guests will RSVP ASAP for your event in the City of Festivals with the Milwaukee Invitation. Featuring high quality, full color blue with golden wheat and matching Event Kit. Get your event or fundraiser noticed in the Cream City with an invitation that celebrates its rich brewing history. Invite guests to your Milwaukee event with the right invitation from TicketPrinting.com.